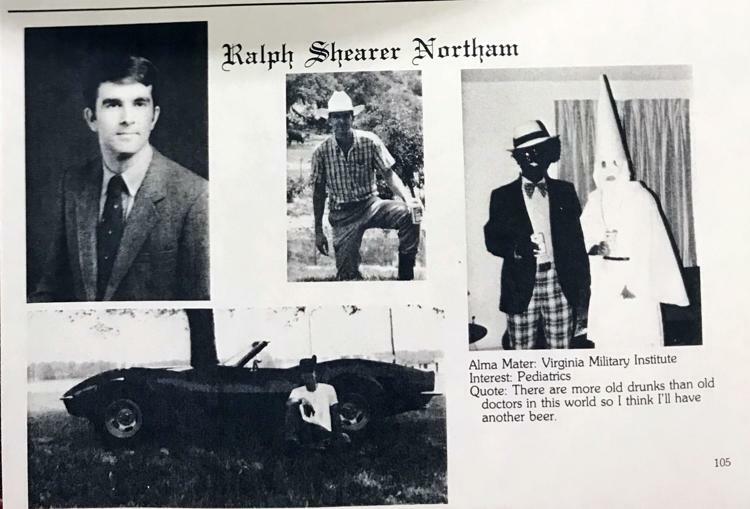 After apologizing to the Commonwealth last night for appearing in racist garb in his medical college yearbook, and the subsequent calls for his resignation, Virginia Governor Ralph Northam (D) is now questioning the photo that was released. He now says he does not believe it was him in the photo, even after confirming it was Friday night. The photo that was released Friday depicted him dressed either in “blackface” or in a Ku Klux Klan uniform in his medical college yearbook. Shortly after the photo went viral, Governor Northam confirmed that it was him depicted, but would not say which one. The Virginian-Pilot reported the photo yesterday afternoon from the 1984 Eastern Virginia Medical School yearbook. Furthermore, a second photo has surfaced of Northam’s yearbook while at the Virginia Military Institute in the early 1980s. His picture included multiple nicknames, one of which was “Coonman,” a racial epithet. A protest at the Governor’s Mansion that began Saturday morning is still going on with citizens calling for Northam’s “immediate” resignation.